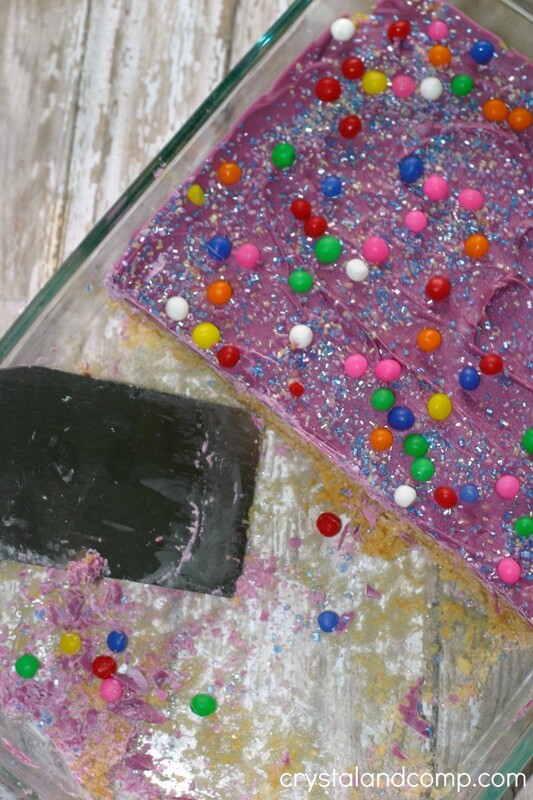 Everyone knows how to make Rice Krispy Treats…. right? Have you ever tried to fancy them up a bit? Maybe add some Trader Joe’s Cookie Butter (or peanut butter). Add some candy on top. Give it some color. 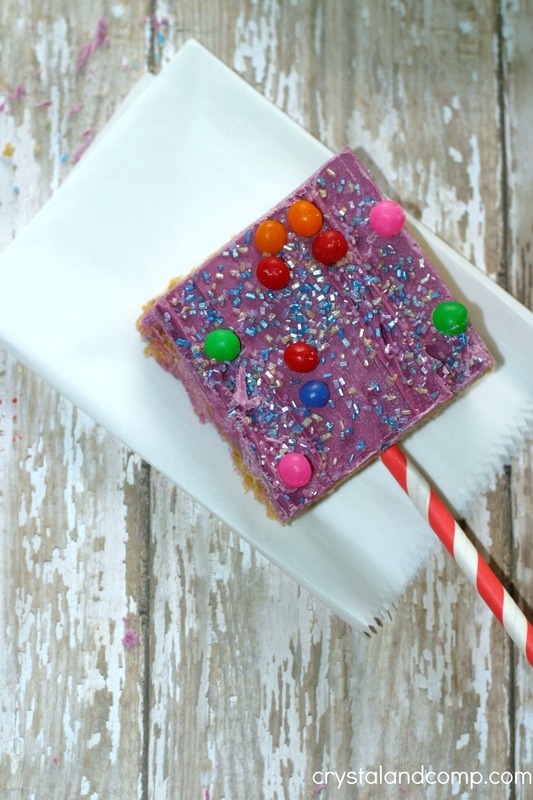 You can even turn Rice Krispy Treats into popsicle-like treats. These are perfect for any day of the week and even for birthday parties or celebrations. I am going to show you just how easy these are to create! 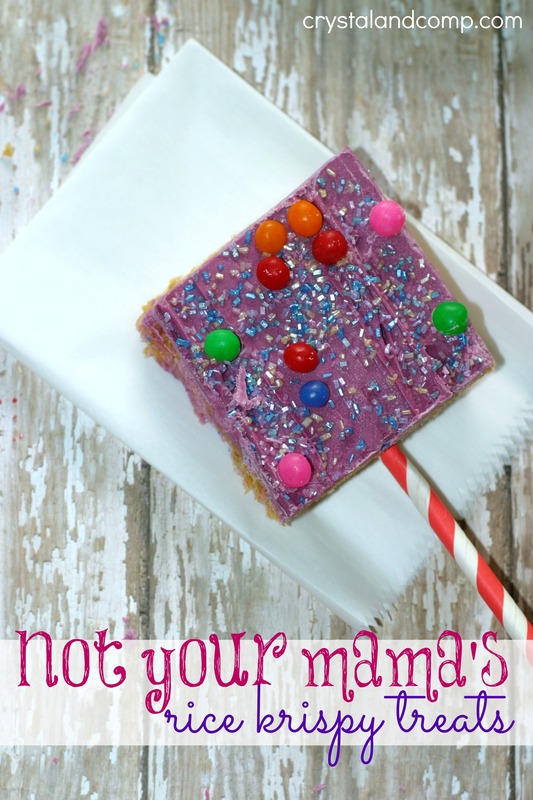 This is certainly not your mama’s recipe, that is for sure! 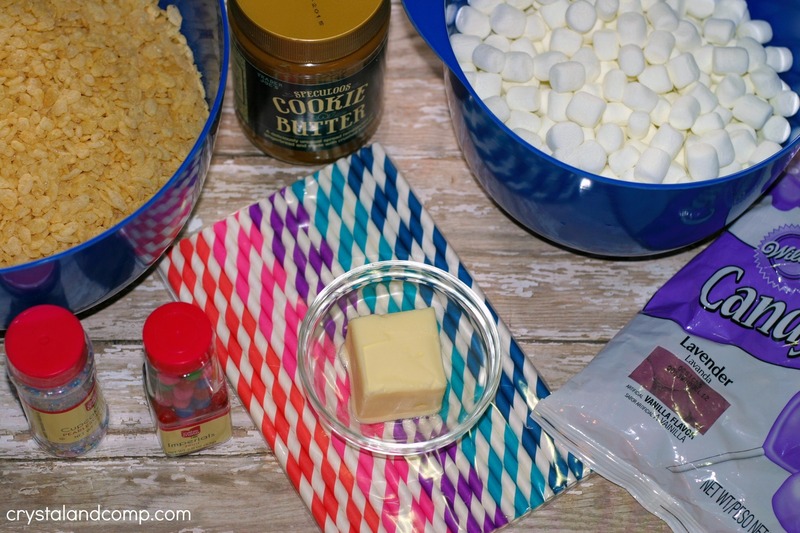 You will also need a 9×13 pan, a large pot for cooking the marshmallows and butter in and a double boiler for melting the candy melts. Over a medium-low heat, melt the butter. 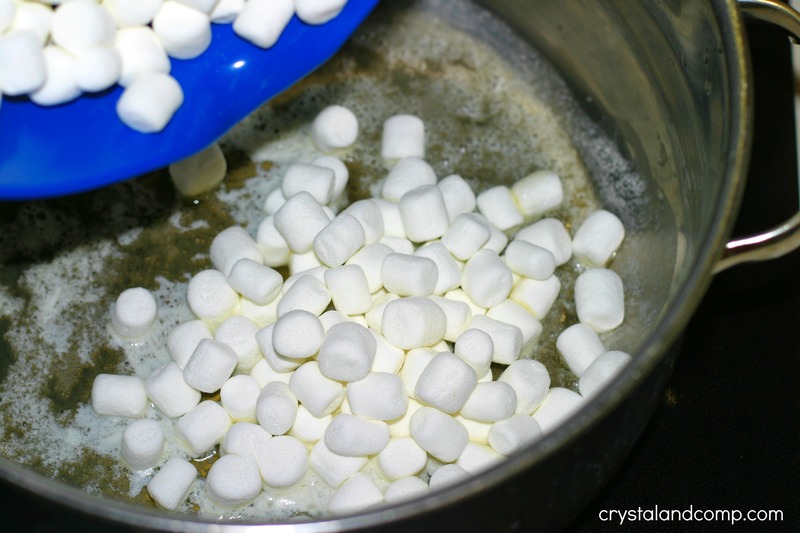 Add in the marshmallows and stir them until they melt. 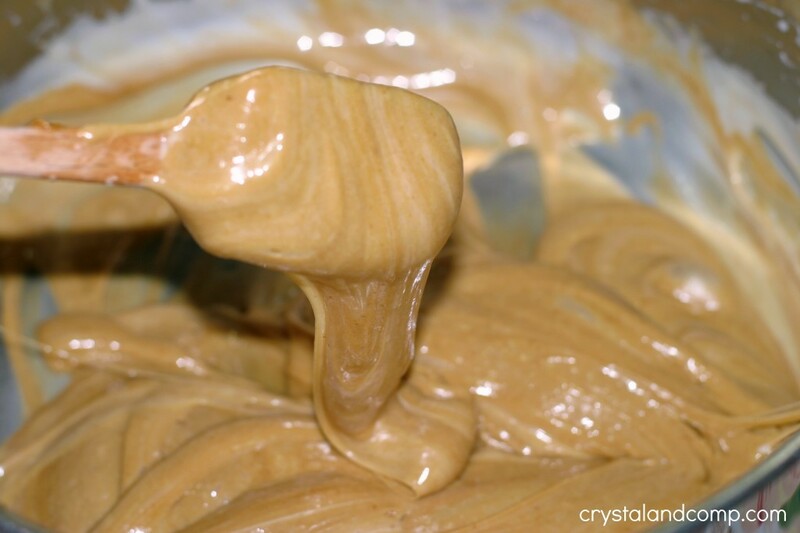 Remove from heat and add in the cookie butter or peanut butter. Stir to coat the cereal with the marshmallow mixture. 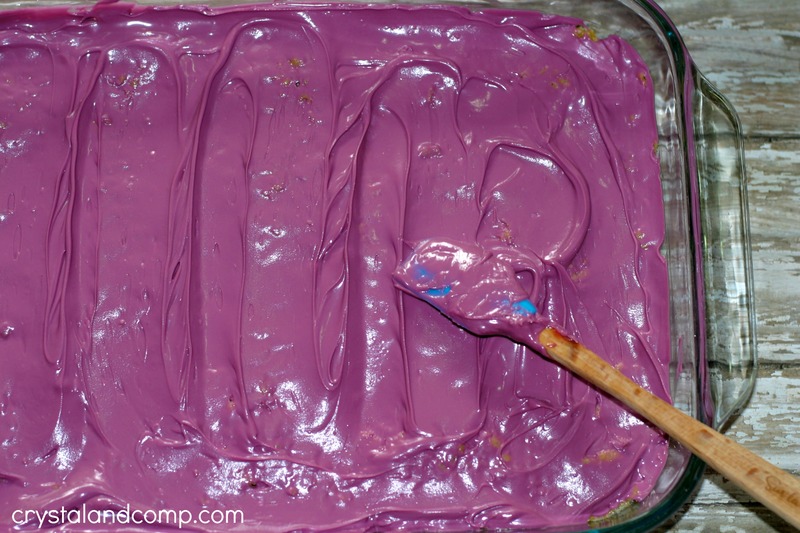 Once you’ve coated it as well as you can, dump it into the 9×13 pan. Use your hands to press the cereal down and mix the cereal and marshmallow mixture together well if that is still needed. You may find areas that were not mixed well. I use my hands to press it down evenly into the pan. 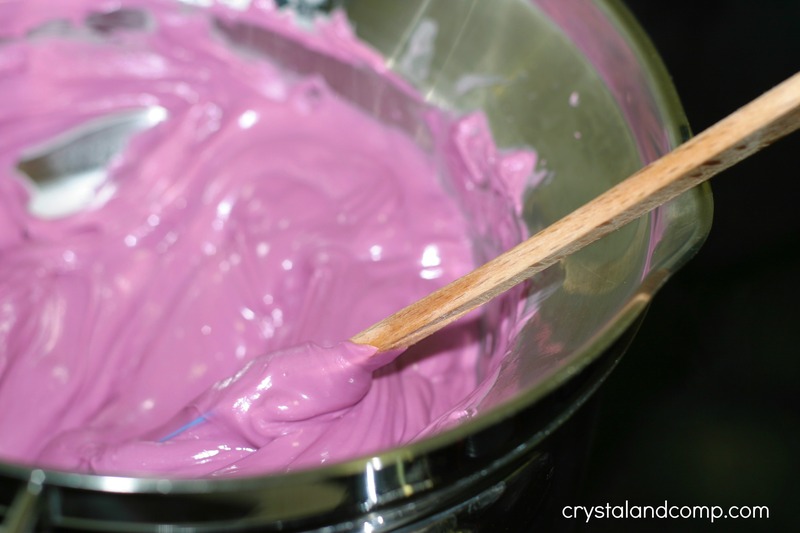 In a double boiler (or the microwave if you want) melt the candy melts. Stir well and keep an eye on it. Do NOT do this over a high heat or the candy will melt and then turn into a hard ball and it is not repairable. Once it is fully melted, pour it over the Rice Krispies. 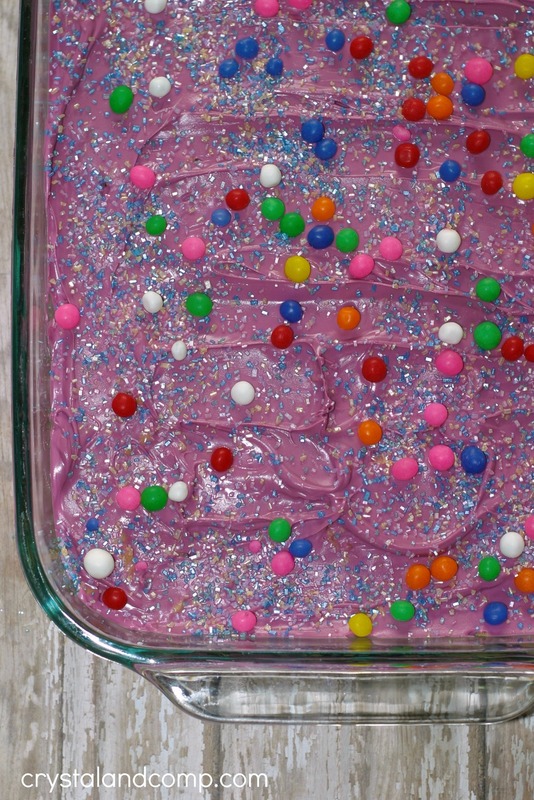 Add your candy and sprinkles. Let it sit until it hardens or pop it in the freezer for about 30 minutes if you’re in a hurry. 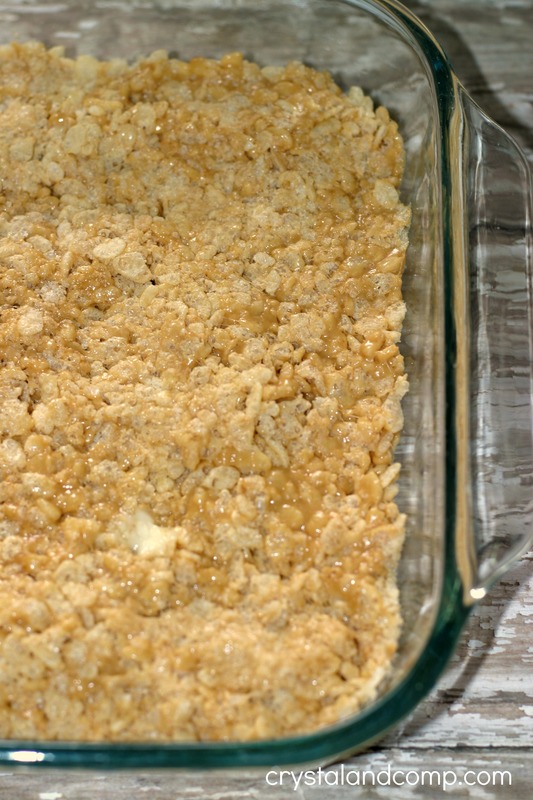 Once the melted candy is hardened, cut the Rice Krispy Treats into squares. I used a sharp knife and a metal spatula to help remove them from the pan. Yummy, gooey, sugary Rice Krispy Treats. Take a paper straw and push it into the bottom of the treats if you want them to be party favors or like popsicles. These are so much fun and perfect as we celebrate summer being around the corner. I love that these are so easy to make! My kids gave them all a ten! We also took some to the park to share with our homeschool friends while we fished. I loosely followed this recipe on the Rice Krispy Treat website and modified it to my liking. 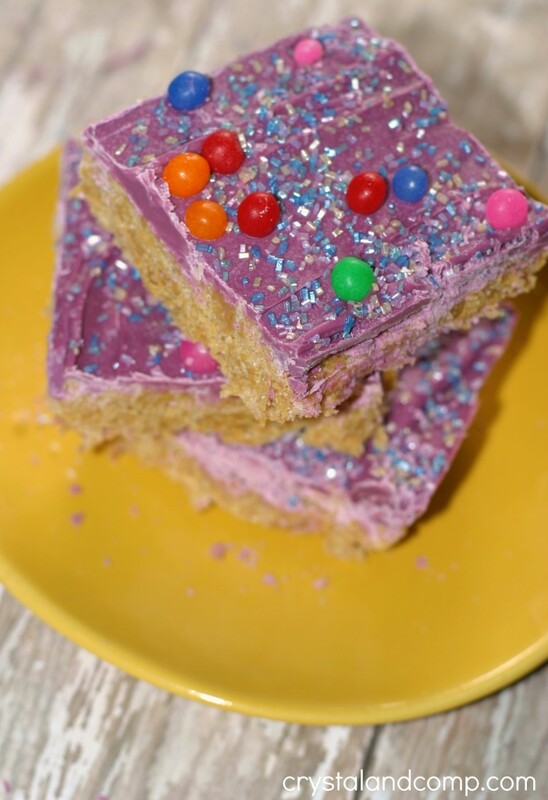 Fore more #easytomake Rice Krispy Treat recipes and decorating ideas, check them out on Pinterest. This post was sponsored by Kellogg’s Rice Krispy Treats. Feel free to ready my full disclosure.